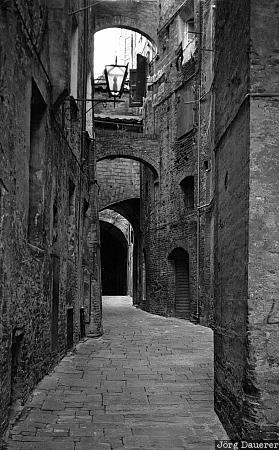 A narrow alley in downtown Siena. Siena is in the central part of Tuscany in central Italy. This photo was taken at noon on a sunny day in October of 1998.